On June 14, Massachusetts State Police responded to a vehicle crash after they received a report of the incident. The accident occurred on Route 495 southbound to Route 90 in Hopkinton. The incident was reported to officials around noon, and emergency response crews were sent to the scene and arrived swiftly. Upon arrival, they discovered that the accident had impacted traffic, and they closed part of the road due to the spillage of material from the vehicles on the ramp. There were traffic delays as a result of the crash. One individual sustained injuries, and they were given medical care at the scene, but there were no fatalities reported, and the extent of the injuries is still being determined. As of posting, the injuries do not appear to have been life-threatening. After the spill was cleaned up and the accident cleared, the flow of traffic resumed as normal. 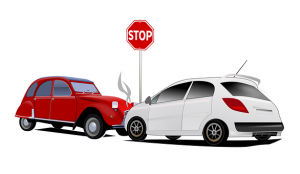 A car accident can occur on any kind of road. While busy roads might increase the likelihood of an accident occurring, they can also happen in suburban neighborhoods or in small towns. Accidents that occur on freeways sometimes lead to more serious injuries, and drivers should remember to be extra cautious when in heavy traffic or moving at high speeds. However, caution should be taken at all times when behind the wheel. While the cause of this accident is still being investigated, it is important for us all to remember that negligent driving can have severe consequences. All drivers must take the duty of care they have to one another seriously and do their best to keep accidents from happening. Victims who are injured can seek assistance so they can focus on the healing process and getting back to their lives after these accidents happen. At the Law Offices of Jeffrey S. Glassman, we are also members of this community, and we use these roads daily. We want the roads here to be safe for ourselves and everyone else in the area. As such, we are committed to raising awareness about the importance of cautious driving. However, we know that accidents do sometimes happen, so we are also here to help victims get the assistance and compensation they need to heal.